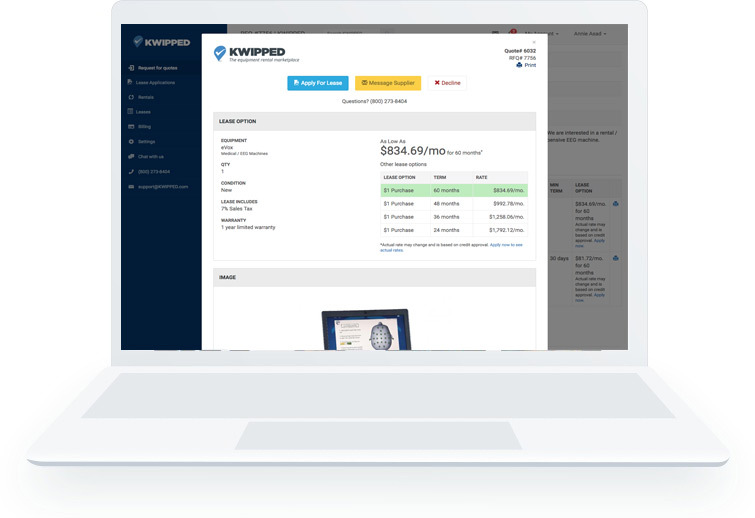 KWIPPED is a B2B marketplace where businesses that NEED equipment, RENT, LEASE OR FINANCE, from businesses that HAVE equipment. from 27 industries available for rent or lease. What is rented and leased on KWIPPED? We are a surgical center. I need a c-arm that will work for hand cases and total hips ASAP. I am in the Syracuse, NY area looking to purchase a Standing Natural Gas Two Door Pizza Oven. I'm looking for a model 6FT tall x 5FT wide. Can't be bigger. Please submit quotes through your KWIPPED Supplier Account WITH SHIPPING & HANDLING COSTS. Thank you. We are in need of 2 50L Rotovaps to replace extisting 20L units. Will require chillers as well with the units. We are open to a 1 year rental or a lease to own option. We are a Geophysical and Drilling Technology Testing and Evaluation Facility. We will need to RENT a Hydril Annular to use on 10-3/4" cased well with 11" 5k casing head. Please submit quotes using your KWIPPED supplier account. If you have any questions, please reach out via KWIPPED messaging or to Kate Scarborough ([email protected]). Thank you! Looking for a density meter to measure alcohol percentage in lab testing we are looking to perform. I am in Indianapolis, Indiana looking to RENT a fiber optic cable pusher for small 12 strand fiber for a week. Please submit quotes through your KWIPPED Supplier Account. Thank you. I am with a communication tower site construction company. I am bidding on a job and want to see if rentals for an NTS Tire Cleaning Grids (or comparable equipment) is a possibility. Please submit quotes on your KWIPPED supplier account. If you have questions, reach out via KWIPPED messaging or to Kate Scarborough ([email protected]). Thank you. We are a production company in North Carolina. I am looking to RENT a Camera-Mount Wireless Omni Lavalier Microphone System ASAP. Please include expedited shipping in your quote to a residential address (so I don't miss the delivery) at zip code 28782. Thank you! Need to rent a homogenizer that can grind human hair to powder. Need samples for a hair product I’m trying to produce. Looking for 1 week rental to try out, if results are achieved I’m interested in expanding the rental period. Let me know if it’s possible thank you. I am in South Plainfield, NJ looking either RENT or PURCHASE Exfo Last-Mile OTDR - MaxTester 715B or comparable equipment. Please include lease and shipping and handling estimated costs in your quote. Please submit quote through your KWIPPED Supplier Account. Thank you. URGENTLY NEEDED J2 LASHER! I am in South Plainfield, NJ looking to either PURCHASE or RENT a GMP J2 Lasher or comparable equipment. Please add shipping and handling next day air costs or 2nd day air costs to your quote. Please submit quotes through your KWIPPED Supplier Account. Thank you. I am in Brownsburg, Indiana looking to PURCHASE a Otis Spunkmeyer OS-1 Convection Cookie Oven or comparable equipment for our office. Please submit a quote through your KWIPPED Supplier Account. Thank you. We are a hospital in need of (5) sequential compression pumps ASAP. 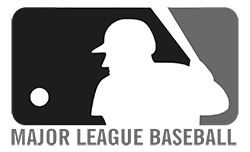 We are interested in the VP 500's. We are not in need of hoses. Please quote overnight shipping to 200 N Madison St, Marshall, MI 49068. I am in Brook Park, Ohio looking to rent an Electric Single Deck 120V Single Phase pizza oven for 2/3 days. Please submit rental quotes through your KWIPPED Supplier Account. Thank you. I am with a medical research center. I am looking for a device to complete dark adaptation test. I am open to your recommendations. If you have any questions, please reach out via KWIPPED messaging or to Kate Scarborough ([email protected]). Thank you! I am in Winter Park, FL looking to RENT a reach in Migali c 49rs-hc or glass 3 door. Please submit quotes through your KWIPPED Supplier Account. Thank you. I am in Bloomington Heights, IL looking to RENT TWO (2) 3500LB Hydraulic Reel trailer for aerial fiber reels. Please submit quotes through your KWIPPED Supplier Account. Thank you. I am in Houston, TX looking to Rent a Titan Rancher Bumper Hitch Livestock Trailer or comparable equipment. Please submit quotes through your KWIPPED Supplier Account. Thank you. I am in Sandy Springs, GA looking to PURCHASE a standing Fagor AD-120W High Temp Dish washer 60 Racks Per Hour or comparable equipment. Please submit quotes through your KWIPPED Supplier Account. Thank you. I am with a company that provides engineering services and products for launch test, telemetry support, RF systems and cybersecurity. I would like to rent an Artec Eva for 1-2 weeks on as soon as possible time frame. Please submit quotes using your KWIPPED supplier account. If you have any questions, reach out via KWIPPED messaging or to Kate Scarborough ([email protected]). Thank you! We are a CRO. We need to RENT the HEIDELBERG ENGINEERING Spectralis 6 HRA OCT for a 6 month study. We are willing to see other models as well that may be comparable. Please submit quotes using your KWIPPED supplier account. If you have any questions, please reach out to me via KWIPPED messaging or to Kate Scarborough ([email protected]). Thank you!